This. This is my relationship with sweet potato pie. You always make two. 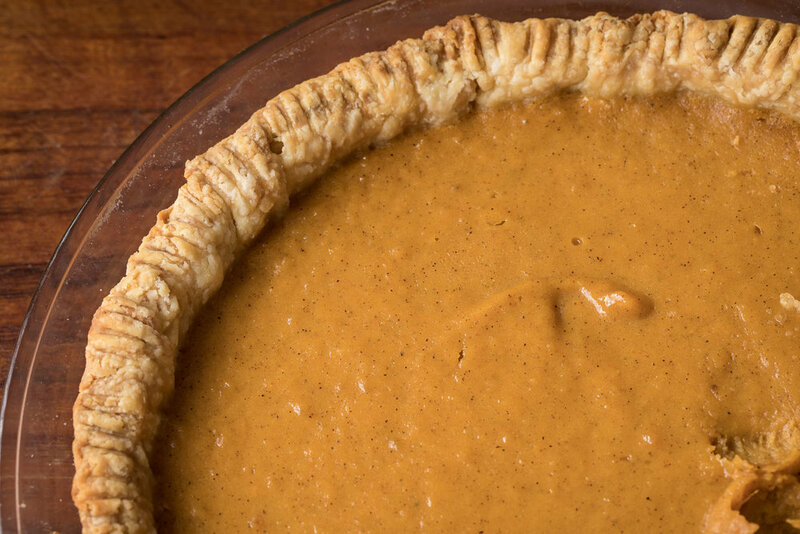 There’s always sweet potato pie at holidays and get togethers. And, to be honest, it represents the complexity of being Southern—colonialism, the climate, slavery, and class all wrapped up in dish. 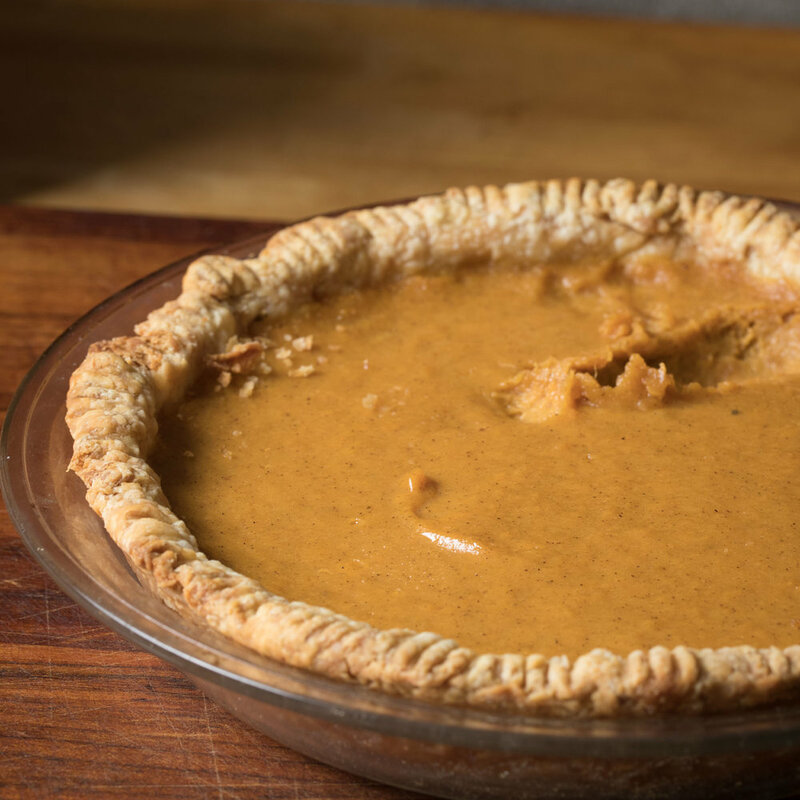 Back to my relationship with this pie: It was always on the table at family get-togethers. It was the staple pie in my grandmother’s kitchen. 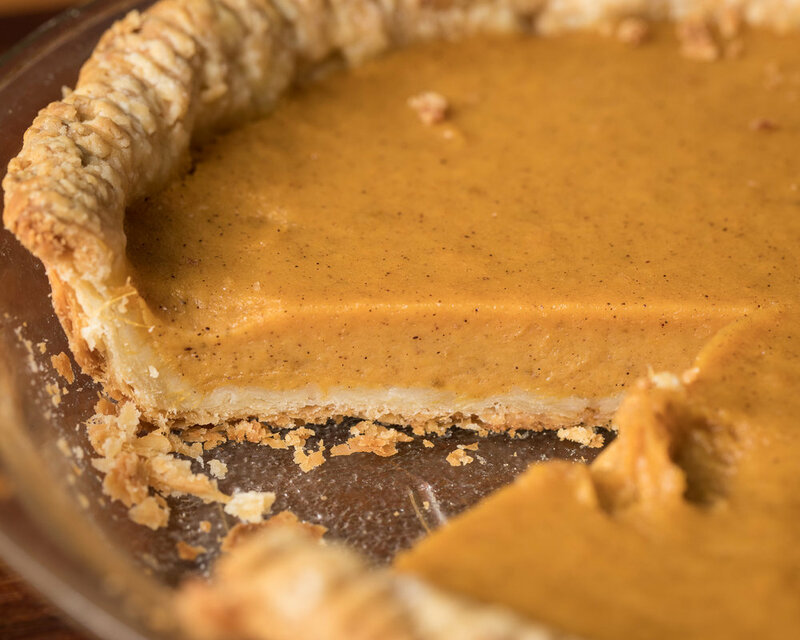 And like many Southerners, I didn’t taste pumpkin pie till much later in life. (Pumpkin spice still confuses the hell out of me.) It was only later in life, during my first marriage, that I learned how differently Southerners and non-Southerners approach the pie. As a kid, pumpkins were for carving. Sweet potatoes for eating. Cooking pumpkins simply don’t flourish in the hot, humid climate of the South. The recipe is based on my great-grandmother’s. She passed it to my grandmother, then my mom. Its always been shared frequently—nevermind my personal hatred for “secret” recipes. At one point in my life, I stepped back from what I had grown up with and tweaked it. 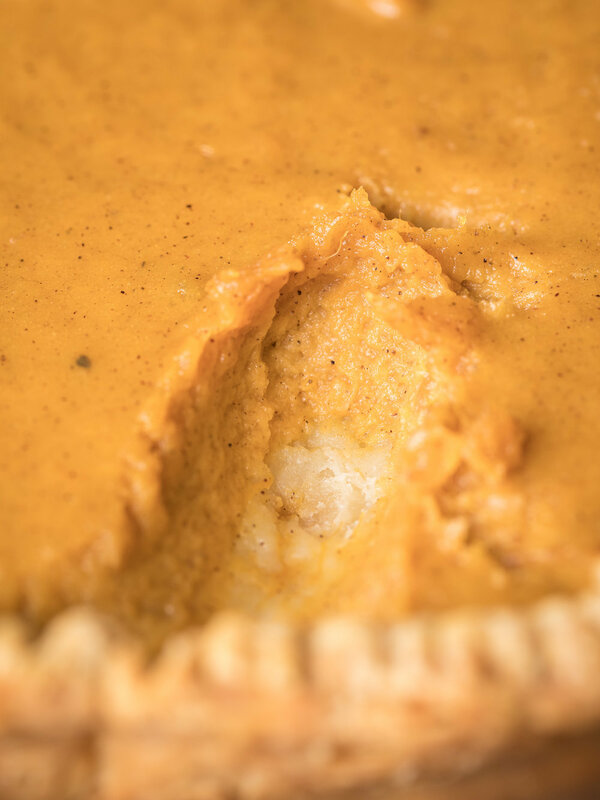 The original filling was boiled and mashed sweet potatoes, mixed with the other ingredients, and poured into an unbaked shell. It was good, but the filling was often stringy and the crust under-baked. What’s offered here is a technical improvement and what I happily take to the family Thanksgiving. 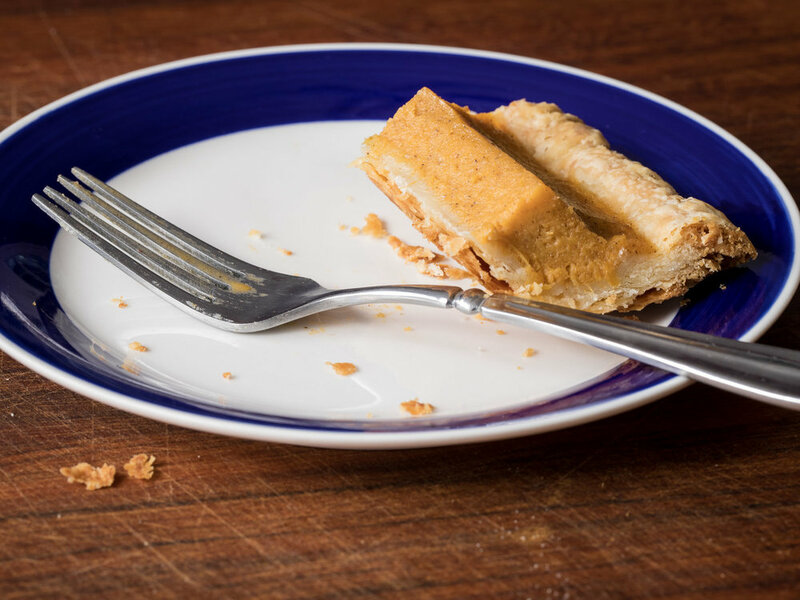 The gouge, by the way, is where a toy Manchester terrier climbed on the counter and started eating the pie. While warm, peel and mash/puree potatoes. Measure out 2 cups. Combine sugar with warm potatoes, then incorporate soft butter and spices. Slowly add the eggs, then the cream and rum. Bake at 350˚, about 45 minutes, till the filling is set. Cool, keep away from pesky dogs, and eat (before the dogs do). An odd sounding desperation pie. Vanilla custard, graham cracker crust, and a pillowy meringue come together to form the Heavy-weight Pie Champion of the Canadian Prairie. An obscure, hard to research pie. Which is sad, because it tastes like Christmas. Nutella in a fried crust. Yes, please.